Perfect for hot applications, no soggy sandwiches. Best binding and coating properties for fresher, better looking salads. Real, pasteurized eggs provide you a safe, great-tasting mayonnaise. Product Contains Egg, Mustard/Mustard products and Peanut Oil. 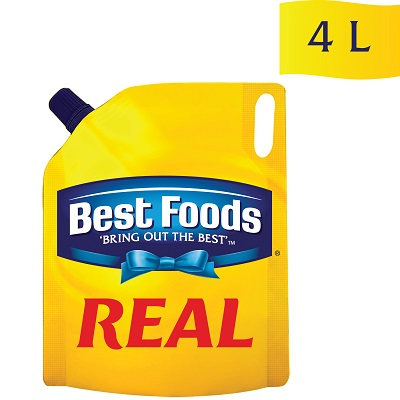 Best Foods Real Mayonnaise is the world's no.1 mayonnaise, made with quality ingredients. Perfect for sandwiches, salads, dips and dressings. Use as a spread for burger and sandwiches. As a base to prepare delicious dip or as a binder in salads. Use Best Foods Real Mayonnaise to create a variety of dips and dressing. Its balanced taste and creamy texture allows you to serve endless creations.